Creative, durable and creative designs can be produced by Graphic Impact. Our fast delivery times make others seem slow. When needed these signs can be completed in 1-2 business days. 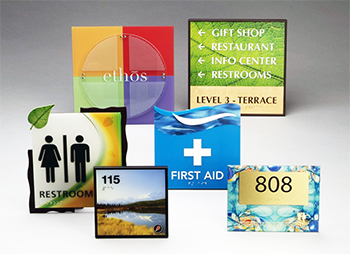 Vivid displays are printed in full color and each of the signs can be of a unique design.